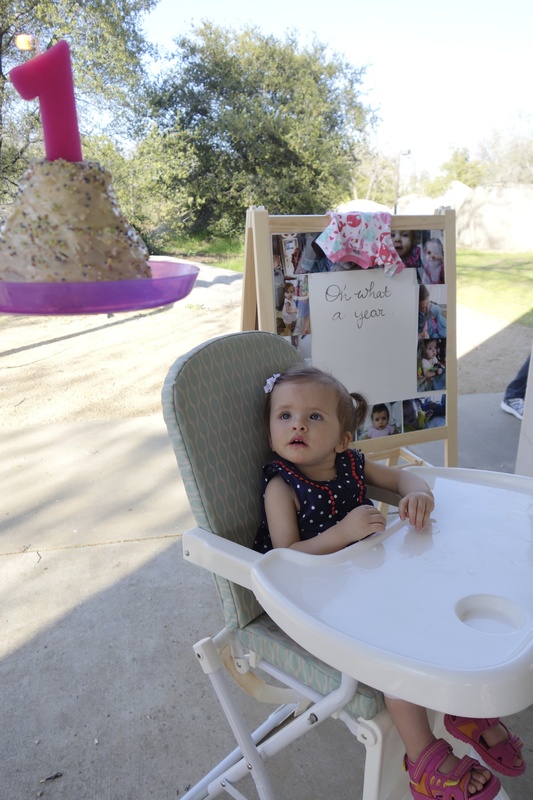 Hard to believe her first birthday party has already come and gone! I am sitting in the carnage of a first birthday party. The living room is strewn with presents and bits of wrapping paper. Cards are scattered across the floor, each animal picture carefully kissed and then thrown to the carpet. Somehow the scary stuffed dog that talked to me in the darkness found her way back home. It reminds me a bit of Christmas and how my dad likes to leave the mess in the front room for days. I get it now. Some messes slow down time. Two more days until E is officially one. A year ago I prepared for battle. With leaking fluid and a ticking clock, I knew it was just a matter of time before she arrived. I dragged my feet in hopes I could avoid induction. I napped and ate pizza and timed contractions. I cried when the rhythm slowed each time I got into the shower. I cried again when they told me Pitocin was in the cards. We ate the same pizza at her birthday party yesterday. I had wanted to throw a small celebration at home, but it grew bigger than our little house, so we headed to the park instead. The weather gods were on our side, a glorious spring day outdoors, trees blooming and sun shining bright. I handed her over to her adoring fans despite my desire to hold her close and never let go. I also walked her home for a few more sweet, sleepy moments on our own. It hit me yesterday, as I strolled her to her party (another attempt to slow down time); I have no choice but to share her with the world. With each coming year, she will be more independent. She is not mine to keep forever. I sobbed a deep and unexpected sob as I typed those last words. This year has been so precious. Ours and (mostly) ours alone. Hours of cuddles and milk, kisses and books, walks and doggies, giggles and sweet time spent curled up together in bed. When I think of all the letting go my parents have had to do with me and my siblings, I begin to wonder if they love(d) us with that same intensity. I know they must and then my heart aches for them and for me and for all parents and all people who deeply love the children in their lives. Sometimes I worry myself to tears over what would happen if I died without leaving E a lasting impression of what she means to me. Luckily she will always have my words. I print these posts and put them in her baby book just in case the internet disappears but somehow her baby book survives (turns out moms worry about every eventuality). I am just beginning to grasp the enormity of it all. This past year has ripped me inside out. Gratitude and awe does not even begin to describe it. 365 days of wild emotion. I think I will leave the party mess a little longer. I like this picture because I see both my old and new selves in it– plus my beloved little attachment. 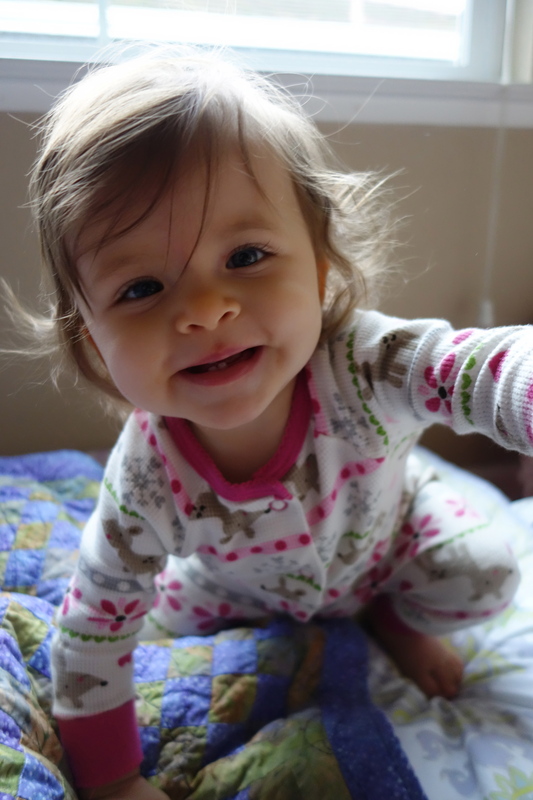 Sometimes when I lie in bed next to E, I still cannot believe she is mine. Everything I went through to get her here and somehow it is already a blur. Sure, my hips still creak and my body aches in new (and unexciting) ways, but mostly, I am the same. For a brief second, without her in a store, I forget I am a mom. 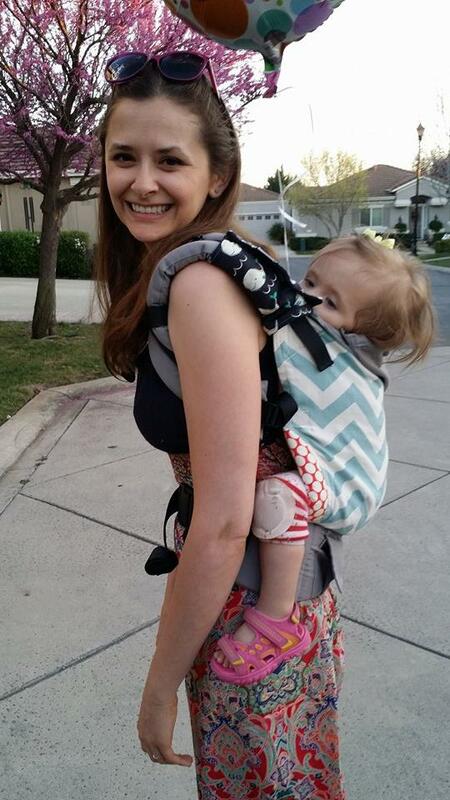 I feel so light without a carrier or a stroller or a diaper bag attached to me. Then suddenly I think of her and feel naked, like the people around me should be able to see such an important part of me, like they are not actually looking at me if they cannot see her too. When this feeling hits, I miss her terribly. I imagine this sense of connection changes over the years. I often go days, if not weeks, without talking to my mom. I doubt I still define her in the same way I once did, no matter how much she loves me. Yet, for now, E defines me. I eat, sleep, and live around her schedule. Simple acts like learning how to point excite me so much that I must call her dad into the room. 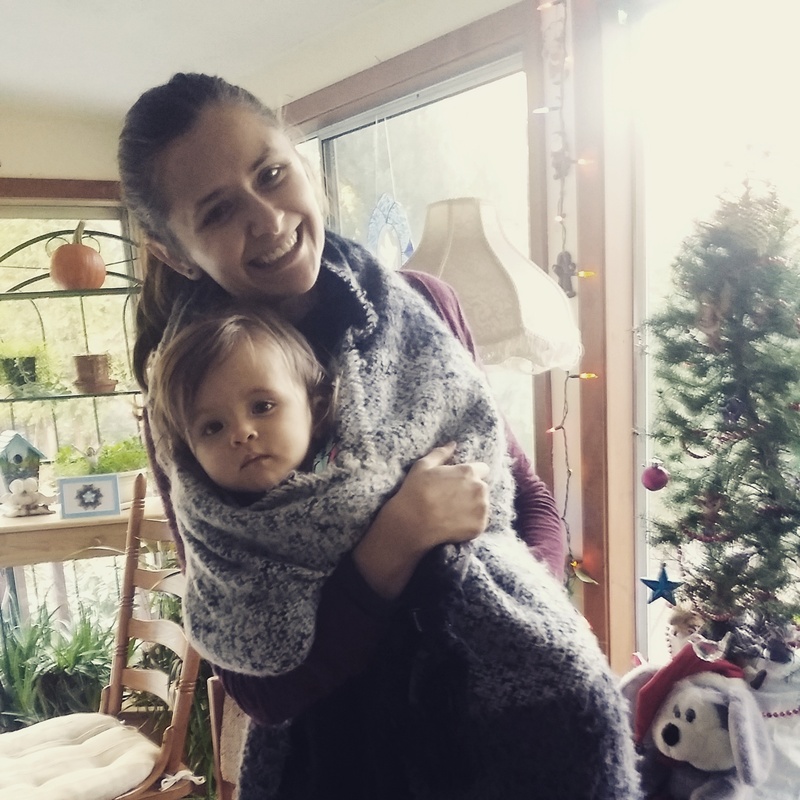 I am entirely her mother, yet I am also the same person I was in 2013 and 2012 and… I always imagined motherhood was this threshold into adulthood that would change me completely. Before E was born, I worried I would never be the same. Yet, here I am, the same person with just a different focus than before. 2014 has been the most vulnerable, challenging, and wonderful year of my life. I almost don’t want to let this year go, as though I could snuggle in it forever. If only. Life keeps marching on and all I can do is hope 2015 will take its time and be as kind, or at the very least, as wondrous. Every ounce of me is grateful to have a year I do not want to let go. I know not everyone is as lucky. Regardless of your year, I wish you the happiest of New Years because it is a chance to begin again, whether down the same beautiful path or an entirely new one.